I've received so many requests to post about Luce di Luna, but I never felt like I had enough information or pictures. 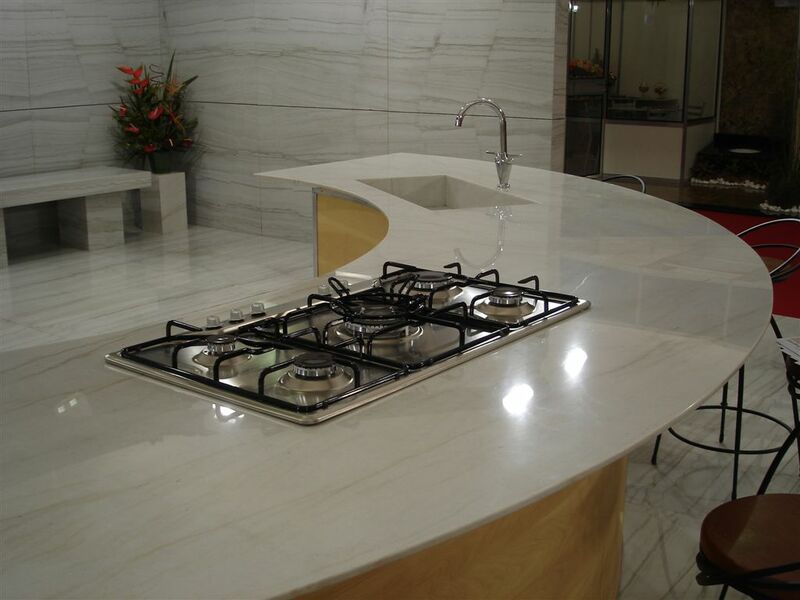 Luce di Luna is a quartzite that is quarried in Brazil. 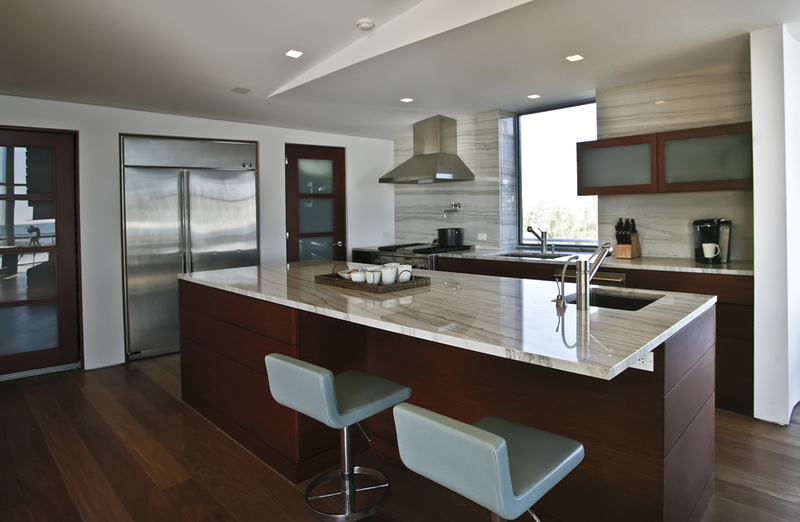 What is quartzite? You can read about it here. 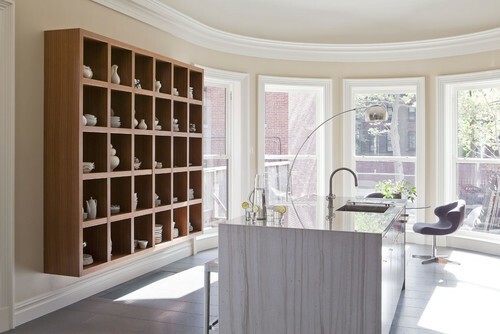 This first kitchen is my favorite photo of the day. Isn't is amazing? I love how they used the Luce di Luna all the way to the ceiling on the full height backsplash. Other names for Luce di Luna include: White Moon, Mont Blanc, Bianco Macaubas, White Macaubas, Vena Oro, Verna Verde, Quartzite Bianca, Classic White, Dream White and Aspen White. 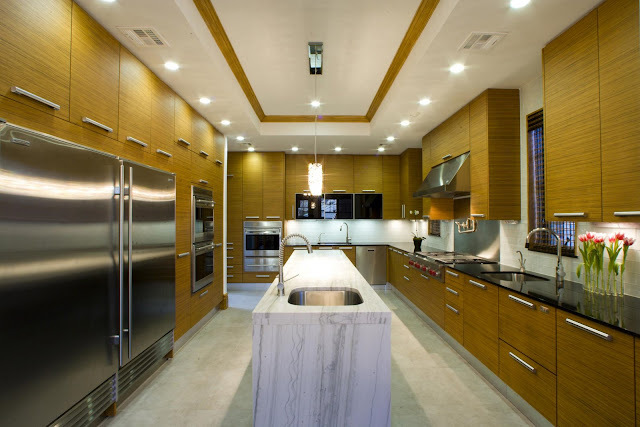 modern kitchen design by new york architect Neuhaus Design Architecture, P.C. Photo sent to me from the miner/ producer of Luce di Luna, MINERAÇÃO SANTA MARIA LTDA. The miner/ producer of the stone said that there are two types that come out of the quarry, Gold Vein and Green Vein. If you look at the photo above, the walls and floors are the Green Vein variety and the countertops are the Gold Vein variety. Some slabs have a stronger vein than others. The stripey slabs are vein cut. Luce di Luna is a great substitute for white marble if you are scared of the etching and maintenance of marble. 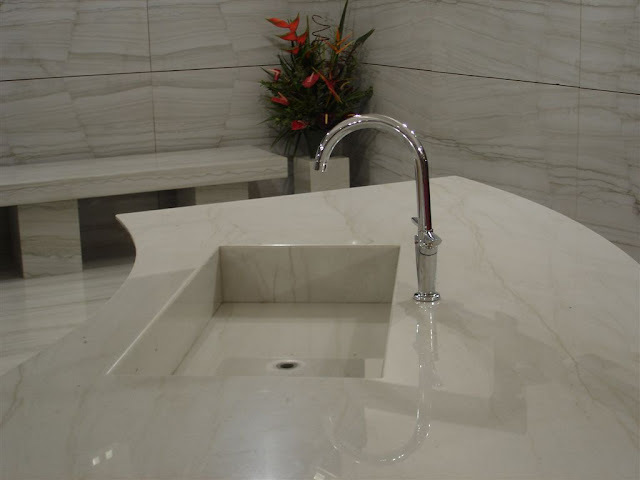 Quartzite's aren't calcium based so acids won't etch quartzite like it does marble. It will also be more stain and scratch resistant. Quartzites are not cheap though. They are generally on the high side of natural stone pricing. This is because of rarity and the extra labor that quarrying and producing require. I posted another beautiful kitchen with Luce di Luna last year. Check it out here. Luce di Luna is available in 2 cm and 3 cm slabs.